This year marks the second anniversary of President Barack Obama’s executive order reversing U.S. policies regarding detainees captured in armed conflict. Presidential Order 13491 set minimal standards for the treatment and interrogation of captured individuals, required the Central Intelligence Agency to close any detention facilities it was operating and guaranteed that the International Committee of the Red Cross would have timely access to all detainees in U.S. custody. 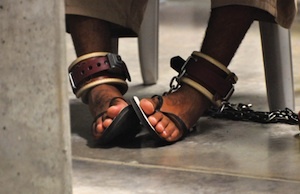 Although Mr. Obama’s order was welcomed by critics of the administration of George W. Bush, questions about America’s long-term policy on torture remain. Another president could issue a new executive order that overturns the Obama policy. A presidential executive order is nonstatutory; it does not entail a change in the law but is an executive decision that can be reversed by a successor. Future presidents may find themselves under pressure to change policies because the United States has yet to establish a moral consensus regarding detainee treatment and the inappropriateness of torture. In his recently published memoir Decision Points, President Bush admitted that he personally authorized the waterboarding of Khaled Sheikh Mohammed, a key figure in the Al Qaeda network. Despite abundant evidence at the time that waterboarding was morally condemned and legally prohibited (including the historical fact that the United States charged Japanese military figures with war crimes precisely for waterboarding during World War II), Mr. Bush’s admission caused little subsequent outcry. During a televised interview on NBC on Nov. 9, 2010, Matt Lauer asked the former president, “Why is waterboarding legal, in your opinion?” Mr. Bush replied, “Because the lawyers said it was legal.” If the Bush administration was able to skirt or simply violate treaties and legislation that prohibit torture and the cruel and inhumane treatment of detainees, what assurance is there that the abuse of human beings in custody will not happen again? How can one deal with the fact that the United States adopted as government policy methods of interrogation that violated norms against the inhumane treatment of detainees and, in at least some cases, rose to the level of torture? What can be done to prevent the nation’s return to such methods in the future? Some critics of Mr. Bush’s administration called for criminal prosecution of those who were involved in the formulation and carrying out of abuse of detainees. Upon taking office, President Obama demonstrated little interest in pursuing this strategy. His decision was a disappointment to some, who discussed the feasibility and the wisdom of pursuing prosecution. In time, as the nation became engrossed in the economic recession, that debate seemed to quiet down. It was revived briefly a few months later when Attorney General Eric Holder released previously secret memos of the Office of Legal Counsel that revealed the reasoning behind the Bush detainee policy and details of its enactment. Calls for prosecution were drowned out again by the arguments over economic policy and health care reform. Holding civilian and military leaders accountable for misdeeds can be an effective way to deter future wrongdoing. Yet any criminal prosecution would face daunting challenges. Public officials would take legal cover in the memos of the Office of Legal Counsel, and C.I.A. interrogators would cite the retroactive immunity granted in 2006 by Congress. And the option of criminal prosecution has gathered little support from the general population. Eschewing prosecution, however, should not mean abandoning all other measures to avoid a recurrence of activity that brought great shame to the nation and served as a public relations and recruitment bonanza for its enemies. Three alternative options have been proposed by various public figures. One possibility is to do nothing. Some critics of the Bush-era policies maintain that history’s judgment is sufficient: Let the shame of an evil legacy be the final word for the proponents of torture. Yet this approach overlooks the need to establish firmly a national commitment opposing torture and the cruel treatment of detainees, a commitment that is not evident at present. A second option is to call for a bipartisan Congressional investigation. The existing climate in Washington, however, makes this unlikely. A deeply partisan legislature would split along predictable lines in any examination of the previous administration’s record. All polling data suggest that an overwhelming majority of Americans hold Congress in very low esteem. Whatever comes out of a Congressional study would not be trusted by many citizens. There is, however, a third option: A panel, made up of respected individuals who are not identified with highly partisan politics, could hold hearings, gather evidence and produce a study that helps educate the nation about torture and U.S. policy. Retired federal judges, diplomats and military officers could be candidates for such a panel. Perhaps religious and educational leaders might also serve. The panel should be empowered to subpoena and to grant immunity to witnesses. It should have the authority and clearance to examine all relevant documents as well as the necessary staffing and budget to conduct its work expeditiously yet thoroughly. The priority of the panel would be to seek the truth as to what happened in the treatment of detainees and to make this information widely known. Since a major part of the goal is to educate the citizenry and work toward a moral consensus on the subject of torture, it is vital that the panel’s work be as transparent and accessible as possible. There should be televised public hearings of key testimony and discussion. The panel might submit recommendations for future action based on its findings, such as the reform of the Office of Legal Counsel, revised methods for Congressional oversight of our intelligence operations or new training programs for individuals serving as interrogators. The panel’s main task, though, would be to foster an informed moral discussion about torture and the cruel and inhumane treatment of detainees. Without a strong majority of citizens who support a clear ban on these activities, our national leaders may find themselves someday in a setting similar to that of the days immediately after 9/11, a period Drew Christiansen, S.J., aptly described as “a time of moral panic” (Am., 10/2/06) In such an anxious and insecure climate, the temptation to engage in actions that are unworthy of a nation founded on basic rights will be strong. Critics of the Bush administration may prefer to place blame at the highest levels of government and at the feet of C.I.A. and military operatives. Waterboarding and other abuses against human dignity, however, were publicly revealed to have happened in May 2004. Five months later, in November 2004, 62 million Americans voted to re-elect George W. Bush, even though torture had been reported in the media during the spring and summer prior to the general election. The record also suggests that Congressional leaders in both parties and from both houses attended briefings about C.I.A. practices and raised no serious objection at the time. Perhaps out of fear of appearing soft on terrorism, there was precious little public dissent by national leaders regarding U.S. treatment of detainees. The crucial issue that opponents of torture must face is not what political leaders think but a lingering sense among the citizenry that torture can be necessary for national security and is therefore defensible. We as a nation need to build a moral consensus within the culture against torture. It will not be an easy task. In numerous surveys conducted since 2004, the Pew Research Center has asked Americans about the use of torture on terrorists in order to gain important intelligence information. The surveys have varied little in their results. About half of respondents say torture could be justified “often” or at least “sometimes.” A slightly smaller percentage respond that torture could be justified “rarely” or “never.” Other polls by various news organizations like CNN or The Washington Post have similarly found a roughly 50-50 split in public opinion on this question. Even the opposition to torture is fragile, because those who think torture can “rarely” be used are likely to weaken if ever there is another major terrorist attack on American soil. The Pew Center surveys also show that more than half of American Catholics support the use of torture and that this support correlates positively with more frequent church attendance. (Also revealed in the Pew survey: Catholic Republicans are far more willing to approve torture than are Catholic Democrats.) Opposition to torture within the Catholic moral tradition is founded upon the theological claim that all persons possess an inalienable dignity as a result of being created in the image and likeness of God. Respect for the human dignity of all persons is the bedrock for much of Catholic ethical reasoning, and torture is judged to be a direct assault upon that dignity. Hence the church’s teaching, as expressed in the Compendium of the Social Doctrine of the Church, that the “prohibition against torture” is a principle that “cannot be contravened under any circumstances.” To understand that claim and to encourage Catholic citizens to oppose torture, the U.S. bishops approved a study guide, Torture Is a Moral Issue (2006). For the sake of the national conscience, we Americans must learn what our nation did after the terrorist attacks on Sept. 11, 2001, why it was done and whether it was indeed “necessary.” There are large holes in our public knowledge of how torture came to be practiced by our government, how it was implemented and whether it produced anything of import. Did some actors go beyond what even the Office of Legal Counsel approved? How much did the Congressional leadership know and when? Is it true, as the C.I.A.’s own inspector general reported, that there was no clear evidence that crucial intelligence was obtained by the “enhanced interrogation” techniques? In sum, there is much to learn from a thorough investigation and honest report to the public. Despite the constant criticism of politicians, the fact is that citizens usually elect public officials who reflect the broad currents of the American mainstream. It is imperative, therefore, that as a people we establish a moral consensus that will condemn unworthy acts done in our name and support political leaders who will oppose terrorists without transgressing our moral convictions. The first great popular movement to abolish torture occurred during the 18th century on the European continent. In 1764 the Jesuit-educated Italian humanist Cesare Beccaria wrote a short book, On Crimes and Punishments, which examined the system of criminal law. In particular, Beccaria advocated the abolition of the death penalty and of torture as part of legal proceedings. Translated into several languages, the book helped set off movements that removed torture within the criminal justice system. At the outset of the 1700s every European country allowed torture in its criminal law code; by the end of the century no European country did. The abolition of torture affected the legal system, but it did not end the use of torture in other circumstances. The 19th and 20th centuries continued to see torture employed during times of revolution and war. While international treaties and national legislation ban torture today, these legal instruments are frequently violated, often with the tacit or explicit consent of leaders and citizens who believe national security to be at stake. In the 21st century what is needed is a popular will to extend the abolition of torture from criminal law to all state activity. Listen to an interview with Kenneth R. Himes. So many "Christians" claim that we (USA) are a Christian nation founded on Christian principals and yet (among many other things) would defend torture. For a time there were bracelets popular that had the letters WWJD (What Would Jesus Do). It may seem like an over-simplification, but in the final analysis, that is really ALL that matters. Those who watched "The Passion of the Christ" and were appalled by the treatment Our Lord received would turn around and apply the same kind of treatment to other human beings. Those who are adamantly against abortion (as they should be) at the same time support capital punishment. Do people who call themselves Christians not see the duplicity in these things? This is where "the rubber meets the road." Those in power use fear to control people. Fear is the opposite of faith. It is pretty apparent that there are many who no longer trust the Lord to protect the faithful and/or remnant, but believe that God has given them the power to make these decisions. It is an assumption of this article that waterboarding is torture. It is not. It is an assumption of this piece that an adequate Catholic philosophy of torture has been clearly adumbrated. It has not. There is little evidence in this piece of a balanced treatment of the subject. Such naïve reflections inevitably lead to confusion with other pressing moral issues, such as abortion and capital punishment, as the first commentator evidences by his offhand and misdirected referral to capital punishment. In fact, abortion is and has always been treated by the Church as inherently evil. Capital punishment is not only NOT inherently evil, it is sometimes morally requisite. Waterboarding is an open question. It is objectively evil to imply equivalence between the waterboarding practiced during the Bush administration and the “waterboarding” practiced by the Japanese. The differences have been fully and publicly aired, and only the morally obtuse would willfully obscure the issue. It is a matter of astonishment to this observer that so many feel so confident in their moral judgment on matters relating to extreme conditions of violence and survival. So simple to pontificate during historical periods of peace and tranquility brought on by the 101st Airborne Division and friends. Well stated, Chris. President Bush was just one of a long line of presidents who did not believe waterboarding, as practiced by our department of defense, was torture, unless we believe they all tortured our own citizens. For the uninformed, here follows the outline of the situation Kenneth Hines omits and you refer to. Comparing the Japanese procedure of waterboarding, during which it was not uncommon for the subject to drown, to the "watered down" version practiced by the US armed services on two generations of servicemen from Jimmy Carter's presidency to the present, which is similar to the procedure Khaleed Mohammed underwent, is like comparing a sneeze to pneumonia. The Defense Department physicians over 40 years and a half dozen administrations had literally thousands of cases of US troops as reference points to determine if their procedure of waterboarding caused extreme physical pain or long-term physical or psychological harm, the common definitions for what constitutes torture. As it continues today, obviously they determined it did not. Does anyone here believe that any of these presidents from Carter to the current president would condone torturing our own innocent citizenry? If such waterboarding is torture, we have much more to worry about than a few terrorist murders such as Mohammed; we have thousands of innocent tortured Americans to face, as well as likely billions in civil suit liability to pay. And wouldn't personal injury lawyers, looking at a third of those billions, be all over those cases of "torture," if it were the case? Am I the only one but do you also find it very odd that a Priest from the staff of a university should be lecturing us on the morality of something that happened at Gitmo? This particular University most recently held a celebration for Father Robert Drinan, S.J. a pro-abortion priest. Although I like to refer to those as one should: if one side is pro-life the other side is pro-death and Father Drinan was pro-death. This Catholic University celebrated that and as a part of the staff Kenneth R. Himes, O.F.M. was part of that celebration. Or what did he do to stop the celebration. Then of course we have the sexual abuse cases that are not over which is quite apparent by what happened in Philadelphia recently. So before we call on other organization to expose themselves and be upfront with us, shouldn’t we insist that our own organization, The Catholic Church take the third option listed in this column. There is, however, a third option: A panel, made up of respected individuals who are not identified with the Catholic Church, could hold hearings, gather evidence and produce a study that helps educate the nation about the sexual abuse and Church policy. Retired federal judges, social workers and police officers could be candidates for such a panel. Perhaps Protestant and lay Catholic leaders might also serve. The panel should be empowered to subpoena and to grant immunity to witnesses. It should have the authority and clearance to examine all relevant documents as well as the necessary staffing and budget to conduct its work expeditiously yet thoroughly. The priority of the panel would be to seek the truth as to what happened in the treatment of children and to make this information widely known. Since a major part of the goal is to educate the citizenry and work toward a moral consensus on the subject of abuse, it is vital that the panel’s work be as transparent and accessible as possible. There should be televised public hearings of key testimony and discussion. The panel might submit recommendations for future action based on its findings. Revised methods for Lay oversight of our Priest when not on the altar or new training programs for Priests serving our Children. The panel’s main task, though, would be to foster an informed moral discussion about sexual abuse and the cruel and inhumane treatment of these children. The Church has never done a thing transparent about their sexual abuse problem. Yet they have the answer for any other organization about their lack of morality. Maybe before we remove the speck in the United States Policy for all the we have done good across the world we should remove the log in our own eye? Does that sound familiar! "clearly adumbrated?" The words seem to be antonyms. I do not understand the reference to the 101st Division. Please explain. Mr. Himes, you shouldn't be out front in this effort. The only one who can be is somebody who only grudgingly acknowledges the total unacceptability of torture (hopefully all oppose it as a routine practice). But then what? -Acknowledge the legitimacy of national security. -Respectfully address the valid points of those opposing a total torture ban (e.g., the "ticking bomb" scenario). -Appeal to people, not just governments. -Minds will change before hearts. Keep your arguments impeccably factual, devoid of excess emotion, and without appearance of being more sympathetic to terror suspects than terror victims. -Enliven the doctrine of human dignity, the main Catholic indictment of torture, beyond the dry ecclesiastical and theological treatments. Clear up its seeming inconsistencies (e.g., we can sometimes kill, and imprison for life, but never cause serious discomfort even for eminent reason). A crystallizing illustration is needed here; one that says, "Here's why we can't do this. Damn! I wish we could, but we can't." Then some heads might start to nod. And remember, many to be convinced will not be Catholics. It also wouldn't hurt to define torture a bit more clearly. All rough agent-to-detainee contact cannot be torture, or "exessively forceful." We often lament, in the West, that we've gone soft. Let's not project that quality onto our enemies. That we do at our peril. Thank you, Father Himes, for raising this slumbering moral issue to public notice. Clearly the facts need illumination and the ethical questions need debate. One would hope that emotional reactions and their consequent recriminations would be left aside as not worthy of inclusion in this serious undertaking. This article also appeared in print, under the headline "Divided On Torture," in the April 18, 2011 issue. Kenneth R. Himes, O.F.M., teaches Christian ethics in the theology department of Boston College, Chestnut Hill, Mass.